TGIF. One part of me feels like this week flew by, but the other part of me thought Wednesday was Thursday so it's safe to say I'm all over the place. Regardless, I am very happy the weekend is here and it's supposed to (finally) stop raining. 99% of the time I wear stud earrings, but I recently saw J.Crew's carnation earrings and bought them in navy and white. They're super light, comfortable and currently 30% off an already cheap price--I highly recommend! It's no secret that I'm a magazine hoarder, so when I heard of texture I thought I'd give it a go before my Vienna trip and now I'm hooked. The app gives access to all of my favorite magazines on my ipad for $10 a month. While part of me misses reading an actual magazine, the convenience and cost savings is hard to beat. 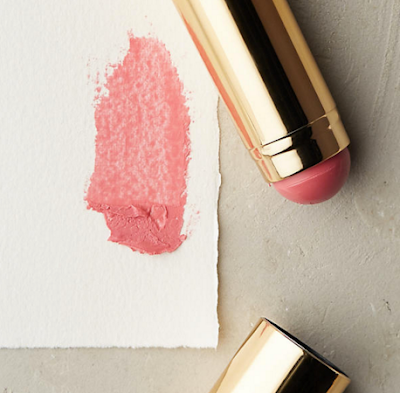 While partaking in a bit of buzzed shopping the other weekend, I came across Albeit Cheek Stain at Anthropologie and I was immediately drawn to the bare rose color (pictured, but it's a brighter pink in person). I bought it on a whim, and I was rather pleased to find it has a lot of staying power and a really nice consistency that gives my cheeks a great flush. Buzzed shopping for the win! 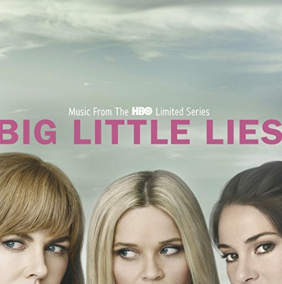 I loved watching Big Little Lies on HBO so much and now there's a void since I finished the last episode. The soundtrack is equally great, and I plan on playing it all summer long. 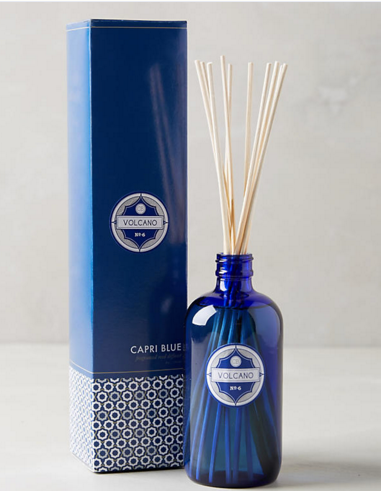 The Capri Blue diffuser was yet another random Anthropologie purchase, but I'm so happy with it. You can smell it throughout the first floor of my house, and it beats constantly lighting a candle--I'll definitely be stocking up on more of these in the future. I love that brand of candles, but they are SO strong. I can usually only handle having it lit for a short time. Maybe the defuser would be better? Your earring is so beautiful. The red color is very attractive and elegant. It is perfect for a party and it will go perfect with skin color.